My landscape was inspired while on a holiday in Cornwall, England. Revisiting the village of Pendeen brought back many memories of when I met Richard, my husband. 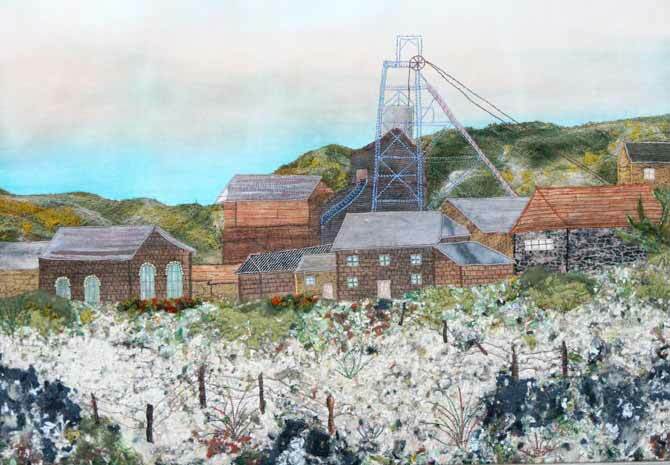 He was working there in 1960 on his PhD at Geevor tinn mine; my father was the mine manager and I was a secretary in the office. Romance followed and Richard’s mining career has since taken us all over the world. Read more in our Spring 2017 issue.